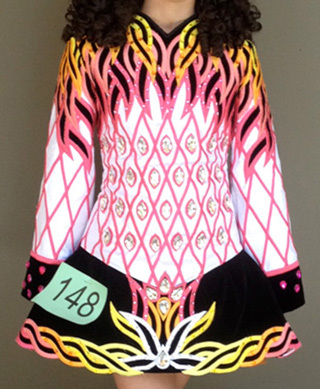 This beautiful white satin and black velvet Celtic Pro dress was designed by a TCRG and retired Riverdance lead. The bodice is reversed white satin embroidered and stoned with soft pinks, yellows and oranges, ($500+ Swarovski crystals). 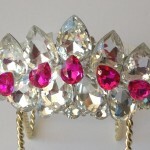 Additionally, there are very large pear and navette crystals on the front bodice and skirt, and the cape. The skirt is made of black velvet with a pleated orange and hot pink tulle underskirt. The dress has been worn 6 times including NAIDC 2015 and WRO 2015. 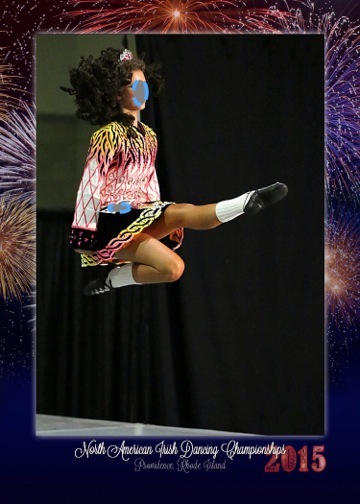 Ownercompeted in the 2016 Irish Dance WORLD CHAMPIONSHIPS IN GLASGOW! 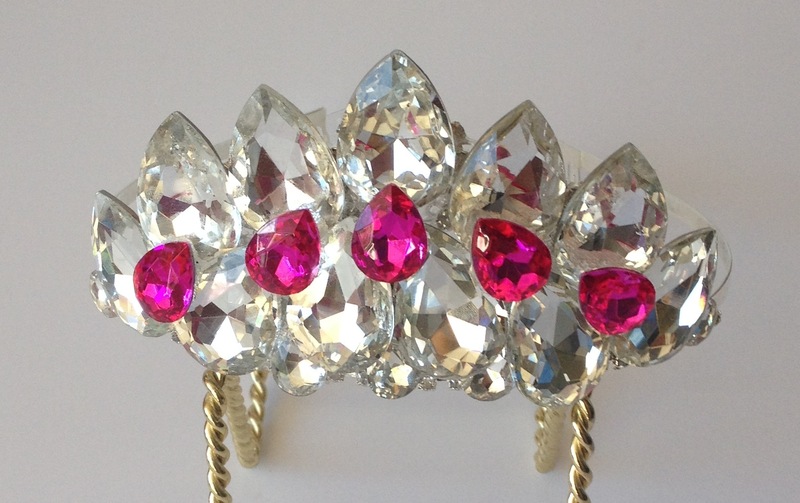 Includes crown featuring hot pink crystals. This dress has A LOT of let out room and extra length. Truly a dress to grow with your dancer! Asking Price: $US1600. Shipping costs are not included in the asking price. Returns are negotiable.